Ms. Dolinger (left) expresses her gratitude to Ms. Jacobs. Amidst the laughing and crying, hugs and tears, Ava Jacobs finally had the chance to meet the woman whose life is now inextricably connected with hers, through a series of coincidences and tragic circumstances that neither could have predicted. 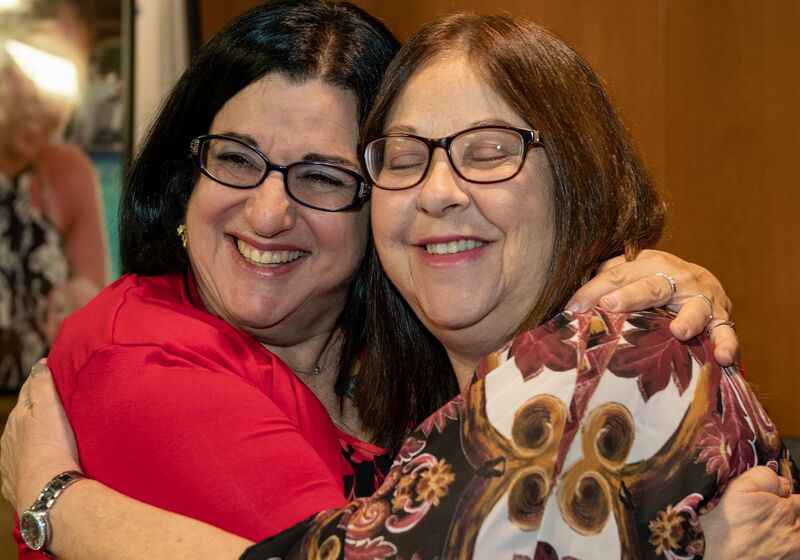 After months of waiting, Ms. Jacobs was able to look directly into the eyes of Linda Dolinger, the woman who received her deceased daughter’s kidney through the act of a directed donation. During a reunion that included family members and the surgeon who performed the transplant, Ms. Jacobs explained that she had accompanied Alexis on a road trip to Massachusetts in June. Sporting a new tattoo bearing the words “free spirit” in honor of her daughter’s adventurous nature, Ms. Jacobs said that they had planned a full weekend of skydiving and fun. Ms. Jacobs soon learned that the wind had caused Alexis to crash directly into the side of a barn. She was taken to a hospital where her family learned that Alexis would not recover from her injuries. The accident occurred on June 2. Four days later, Ms. Jacobs honored her daughter’s wishes to be an organ donor; all of Alexis’ organs were harvested. (At the present time, five people are living because of Alexis’ generosity). Back on Long Island, Ms. Dolinger, who had been in renal failure for years as a result of living with extremely high blood pressure, had hoped to get the call that a kidney would be made available to her. “I was fortunate that my husband, Mark, and my sister, Sheryl Garry, were both active on social media and were actively conducting their own searches for a donor kidney,” Ms. Dolinger said. This is where a series of coincidences brought the two families together. It turned out that Ms. Garry had been Alexis’ seventh grade math teacher; she was already well aware of the Jacobs’ family and was shocked to hear of the tragic accident. Ms. Jacobs had posted on Facebook that she was looking for people in search of new organs; Ms. Dolinger’s family immediately reached out in hopes of beginning the process of testing for organ compatibility. Immediately, Mr. Dolinger contacted the kidney transplant team at NSUH to begin the testing process. 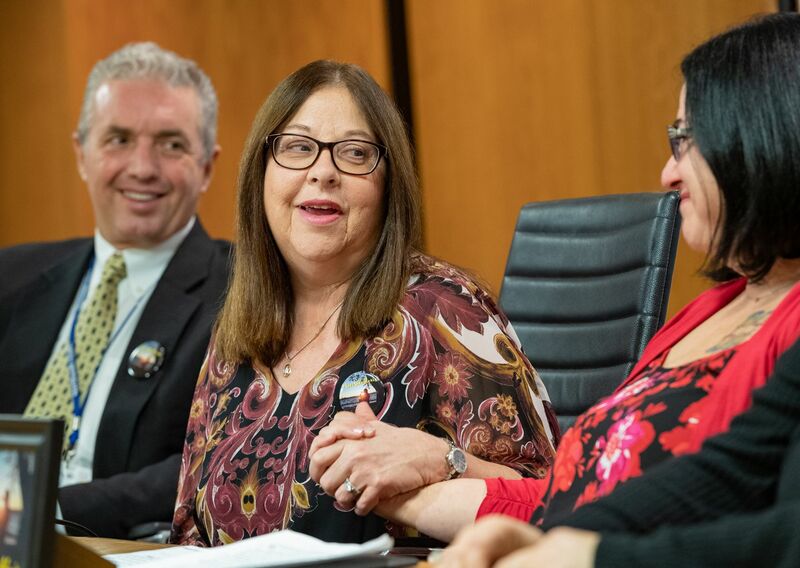 On June 6, in accordance with Alexis’ wishes and thanks to Ms. Jacobs’ decision to honor her daughter, Ms. Dolinger underwent transplant surgery and received a kidney that same day. “This is a day to express gratitude to two lovely women brought together by a courageous and beautiful young women. Alexis had the courage to dream a heroic dream. If we could speak with her, we would tell her that we love her and we thank her for her generosity and her kindness,” said Ernesto Molmenti, MD, surgical director of Northwell Health’s Transplant Center. Dr. Molmenti explained that directed donations, in which the loved one of a deceased donor asks that an organ be allocated to a specific individual, is relatively uncommon. “In such cases, the designated recipient would already have to be on a transplant waiting list. That’s why the interconnection between the Jacobs and Dolinger family is so incredible,” he added. Ms. Dolinger said, “I am forever grateful to Ava and her family for giving me this precious gift. I’m going to become a grandmother in the coming month. Thanks to Alexis, I will be able to meet my new grandchild.